The Eclipse Sun Shade from Dayva is an attractive way to block the morning or evening rays. 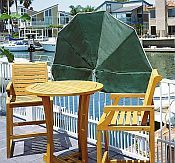 Create an arch of shade or a tad of privacy for your outdoor balcony or deck. 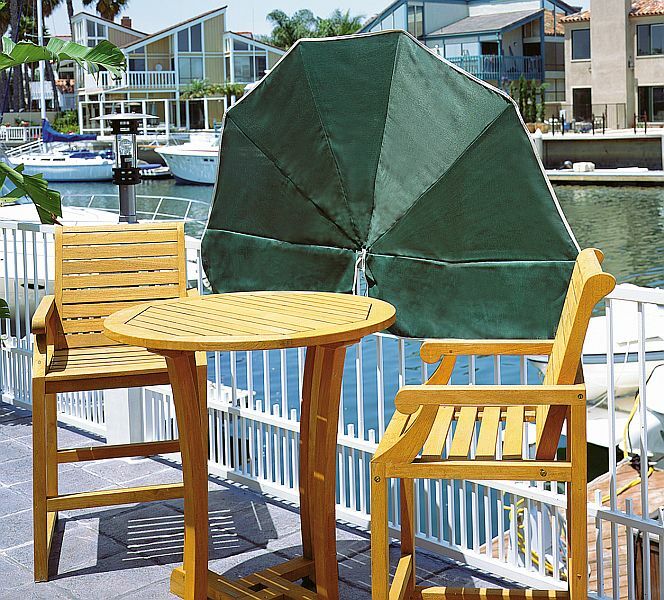 This fan styled shade system opens to a half circle shape that clamps to any railing up to 2-1/2 inches in diameter. Folds easily for storage.